Find more details about the process of fitting a black box to your car and what to expect in the few days after taking out a policy with us. Insurance policies from insurethebox rely on telematics technology to help us give our customers an accurate quote. 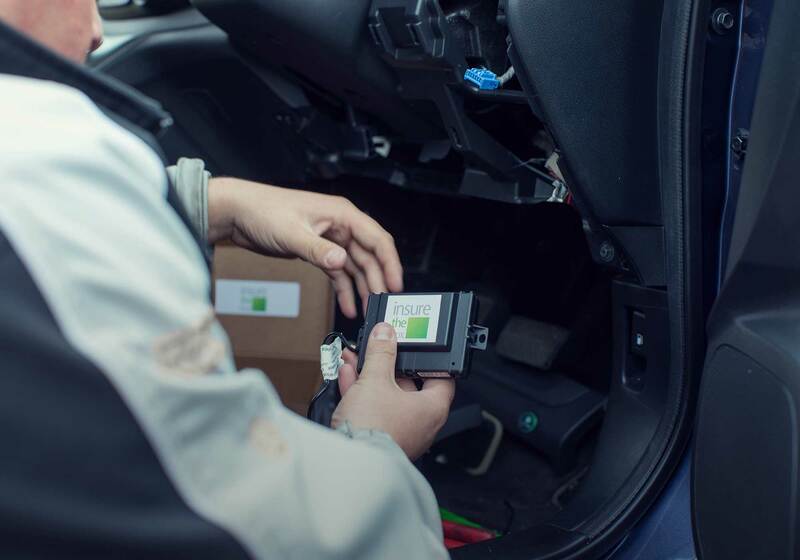 Once you have taken out a policy with us at insurethebox, we will need to arrange a time and place to fit a black box, sometimes referred to as a telematics box, into your car. It is easy to do, and won’t take up any room in your car. Plus, we come to you to fit it whether you are at home or at work. The box needs to be fitted within 14 days of you buying the policy. Unfortunately, if you are not available for us to fit the box during this period, then we reserve the right to cancel your policy. We understand that you may have some questions about the process of fitting a telematics box to your car. Below are some of our frequently asked questions about how we do the fittings, and what to expect in the few days after taking out a policy with us. Do I have to wait until the box is fitted to drive my car? No, you will be insured to drive your car from the moment your policy starts. This means you do not have to wait for the black box to be fitted. How do I arrange to have the box fitted to my car? We will contact you a few days after you take out your policy to arrange a convenient appointment for a black box to be fitted to your car. Usually this will take place at either your home or place of work, between Monday to Friday. Will I get a text or call on the day the box is being fitted? You’ll get a text the evening before your appointment, advising whether the engineer will be with you in the morning or the afternoon. Your engineer may call, but this isn’t always the case – so don’t be concerned if you only get a text the night before. Please make sure you have provided us with the correct contact details, so that we can get in touch with you easily. What are the different time slots I could be given? The box will either be fitted in the morning or the afternoon. Unfortunately, we cannot provide more specific information about the time your engineer will arrive. Do I have to be there on the day of the fitting? You don’t have to be there on the day of the fitting, but we do need the keys to get into the car and we will need someone to sign for the pre and post checks of the vehicle. Installation normally takes around an hour, and our team of engineers will be happy to answer any questions you might have about the process. Please note, we must be able to start the engine. What type of vehicle should you look out for on the day? When we come to fit the black box, you can look out for one of our engineer’s vans. This will either be from the RS Connect fleet of vehicles, or be one of their contracted engineers – who may have a vehicle that looks slightly different. The majority of the engineers will have ID supplied by RS Connect. Where in the car will the box go? The black box is often fitted out of sight, behind the dashboard of your car, or on the battery, which means you may be able to see it. However, it won’t cause any disruptions or impact your journeys in any way no matter where it’s placed. Each of our black boxes is about the size of a mobile phone, which means it can be easily fitted out of sight in your car. Will the box affect the functioning of my car? No, the black box will not affect your car or its performance. Nor will it affect any electrical components or systems. With insurethebox it’s easy to install a black box and find out more about your driving style. We use your driving information to help us calculate a personalised renewal premium for you, as well as offering you rewards for driving well in the form of Bonus Miles. You are able to access all the information collected from your telematics device through Your Portal too, allowing you to see for yourself just how well you are doing. If you haven’t already, why not get a quote to see how much your car insurance will be with a black box?